Jiwi rooms Budget Stays1931 is situated at a distance of 5 km from Pothamedu View Point. This Munnar hotel offers internet access to its patrons. One can reach this hotel via Chithirapuram Bus Stop, which is 11 km away.A total of 5 rooms, spread over 3 floors are offered for accommodation. In-room amenities includes cupboard, flat television, fan, chair, attached bathroom with toiletries and towels.Conveniences such as housekeeping and room service are offered at this Munnar. 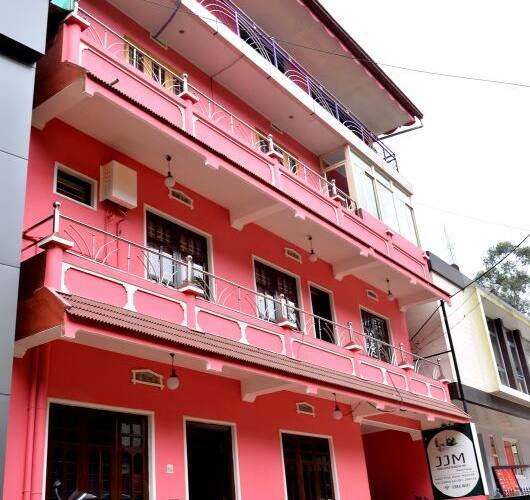 Jiwi rooms Budget Stays1931 also has 24-hour front desk and parking facility within the premises.Places worth visiting are Munnar Headworks Dam (5 km) and SN Water Falls (21 km). This Munnar hotel is accessible via Ernakulam Junction (129 km) and Cochin International Airport (111 km).